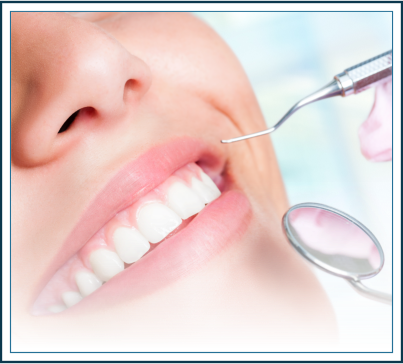 At Lasting Smiles of Bethlehem, we are proud to provide all sorts of dental treatment for you and your family. 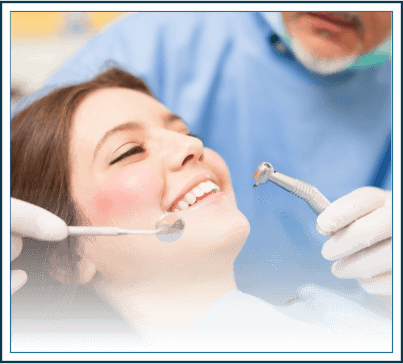 From Cosmetic dentistry to dental implants, taking care of your oral hygiene and gums, and even treating your children’s teeth, Lasting Smiles of Bethlehem is your destination for top tier dental services and treatment. The rising demand for a beautiful smile worldwide has not slipped our attention. Everybody wants that beautiful Smile of movie stars, correctly named “Hollywood Smile”. Our team of experts uses the latest and greatest in cosmetic dentistry technology, whether its veneers, teeth whitening, gums and teeth reshaping and even orthodontic treatment. Our aim is to provide you with the most beautiful smile you can have, and one that lasts for ages. 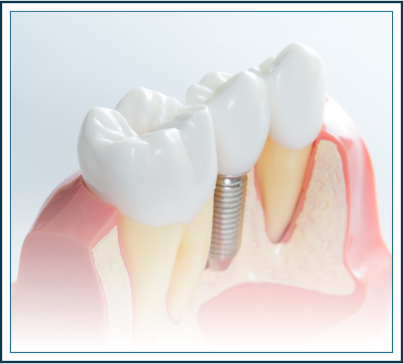 Dental implants are by far the most successful way of replacing missing and lost teeth. If you have lost a tooth due to an accident, decay or periodontal disease, then an implant is what you should consider. With Success rates up to 97% and with longevity up to 20 years with good maintenance, dental implants all but guarantee that you retain your full set of teeth, and therefore keep up your eating efficiency, decrease the chance of stomach and digestive system disease (which happen due to poor chewing) in addition to keeping you smiling bright and clear. One of the easiest and most common cosmetic dentistry procedures. Years of coffee, smoking and generally poor oral hygiene not only has a toll on the oral health, but on the shape and color of teeth as well. Studies have shown that teeth become darker in color with age, even if excellent oral hygiene is maintained. 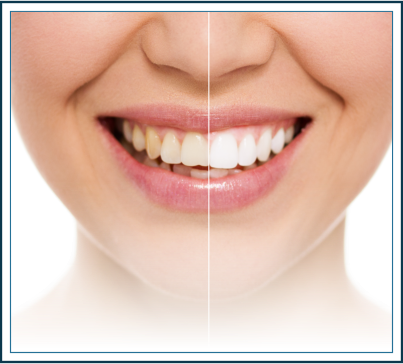 Teeth whitening could remedy all that, through placing a whitening gel on your teeth that clears away the accumulated layers of stains and darkness. In a simple one hour session, you could rewind the clock on your teeth’s color up to 10 years back. Tooth colored fillings (also known as white fillings or composite fillings) are the most modern form of restorative dentistry nowadays. In the old days, we would see the silver fillings called amalgam, and while they are quite strong and are still used by some dentists nowadays, they just lacked the looks and had poor esthetic appearance, and that metallic color is just awful. With the new advances in technology and newer materials appearing every day, composite fillings have become the new gold standard, since they have the looks, the strength and the longevity to last up to 5 years or more with proper care and maintenance. The name says it all. 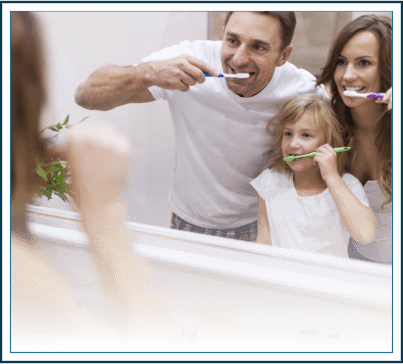 We pride ourselves on providing dental care and services for all members of the family. You no longer have to run all over town to find a good doctor for your children’s teeth, or a good prosthodontist to take care of your elderly’s dentures. Whether you need a tooth filled, a root canal, or a dental implant for yourself, or need your child’s teeth filled, maintained and sealed, or you need some new dentures made for your father or mother, look no further than Lasting Smiles of Bethlehem. We are exceptionally trained to provide services to all family members, regardless of their age and specific needs. Prevention is better than cure, and for children’s teeth, this is doubly true. Pits and fissure sealants are similar to tooth-colored fillings. These are transparent gels that are placed on the deep grooves and pits of teeth (particularly children’s teeth) in order to protect them from food accumulation and therefore protect them from decay. As simple as this procedure sounds, it could well be all your child needs to save him from a trip to the dentist for a filling or even a root canal. Pits and fissure sealants eliminate the problem by taking out the root causes, which are food remnants and bacteria. These should be replaced every few years to ensure they do their job properly. The importance of oral hygiene cannot be overstated. Keeping excellent oral hygiene through brushing, flossing and using mouth wash when prescribed are the most important aspects of your health. One missed aspect of oral hygiene is frequent visits to the dentist, even if it is for a quick check-up or for some easy cleaning procedure, this visit could be the line between excellent teeth and major procedures such as root canals or implants. We encourage you to pay us a visit every few months, where a quick look and a simple, painless cleaning and scaling procedure could make all the difference. Arestin is a gel that contains microspheres filled with antibiotics. This material is specially treated so as to stick to the teeth surfaces and fight off infections. These are particularly useful in cases of abscesses and periodontal infections, as they form a mechanism of delivering the antibiotic directly to the diseased area. All you need to do is visit us for a thorough cleaning, and the gel is then placed on the problematic teeth. A simple yet very effective procedure that could fight off an infection easily. One of the oldest but still pretty much gold ways of replacing missing and lost teeth, and protecting teeth from harm. Dental crowns should be placed on teeth that are at risk of fracture or breakage, such as those treated by a root canal, or that have been so badly decayed that a simple filling would just be insufficient. They can also be placed on top of newly placed dental implants as a way to replace a lost tooth. Bridges are the same deal, but they are used to span a gap between teeth created by having lost one of your teeth. The crowns and bridges industry has been one of the backbones of the dental field for years. Our team of specialists are here to help you in any way they can, so please don’t hesitate to visit us soon.